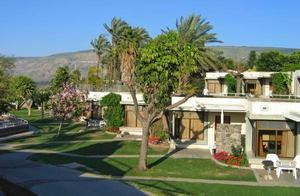 The whole family will love the Kibbutz Maagan as it offers a unique holiday experience. Our beautiful holiday village has 112 family units and 36 double rooms with balcony and lake view. We have a bountiful children playground, mini zoo and an outdoor swimming pool, we also offer Free wireless internet connection for personal laptops in the main lobby. The restaurant serves good kosher fare. Our 112 Family have a living rooms + bedroom up to 2 adults and 2-3 children, small kitchenette, a/c, tv, telephone, bathroom, patio/balcony and lake view. 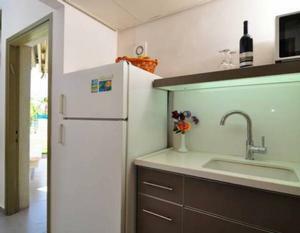 Our 36 Double rooms are spacious rooms, in a 2 story building, with a/c, fridge, tv, bath. All rooms at this peaceful resort are overlooking the Lake, and have a private terrace or balcony. Free wireless internet connection for personal laptops in the main lobby. 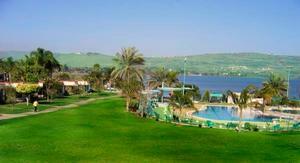 Kibbutz Maagan Holiday Village is located on the Southern shores of the Sea of Galilee and has an private beach to enjoy, its also only 12 km from Tiberias.